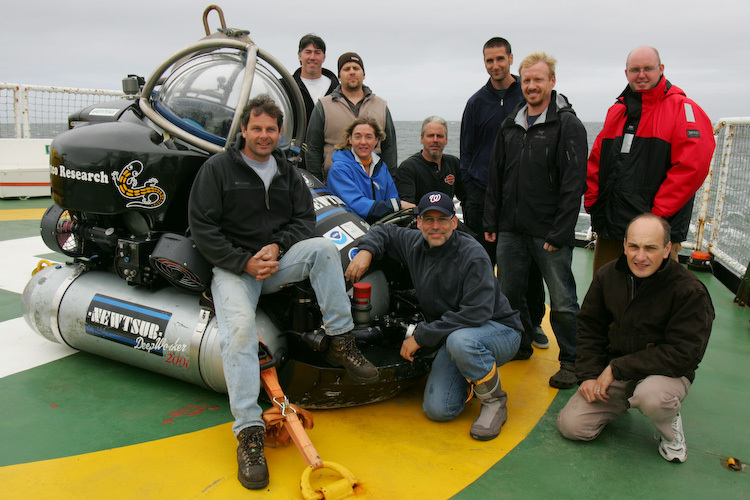 On Friday, August 3rd, 2007, I landed the Deepworker submersible at 1,052 feet in the second largest underwater canyon in the world, Pribilof Canyon in Alaska’s Bering Sea. 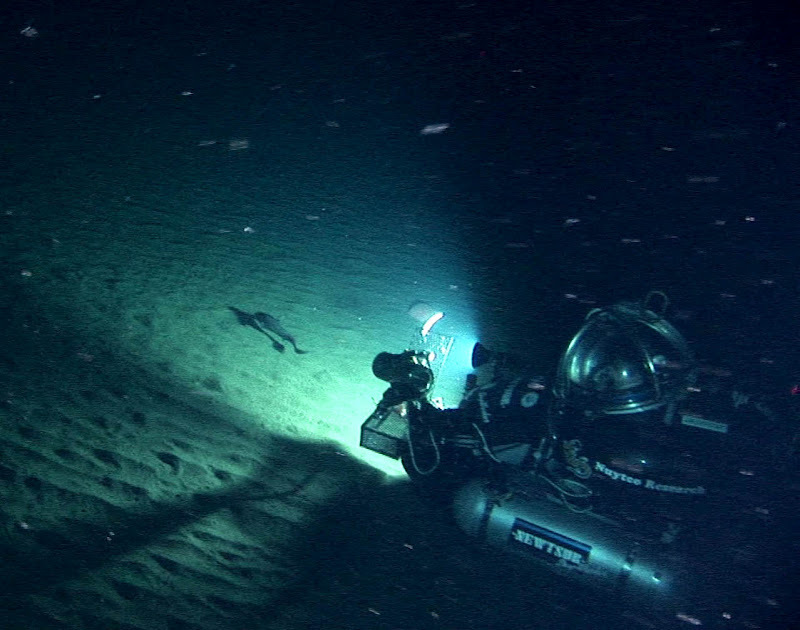 In the distance, I saw the lights of the other submersible, piloted by Michelle Ridgway. As we both sat on the bottom conducting life support checks and communicating with the Greenpeace ship, Esperanza above, I peered through the dome and saw something strange. I reported that I had landed on what appeared to be some sort of geologic stratification — unusual layers and grooves of sediment in parallel lines across my path. What in the world was this? We hadn’t seen anything like it. I briefly hovered the sub above the bottom to get a better look, and to my horror suddenly realized what I was looking at: A massive trawl “scar,” deep ridges in the bottom made by the wheels of a trawl net dragged across the bottom. A wide swath of bottom appeared as if it had been plowed like a cornfield, overturned sediment neatly piled along the edges. I remembered that Michelle had told me some of the trawls used in these parts are as wide as a Boeing 737’s wingspan. This one was enormous and its swath went on for miles in either direction. In its path, there was nothing. 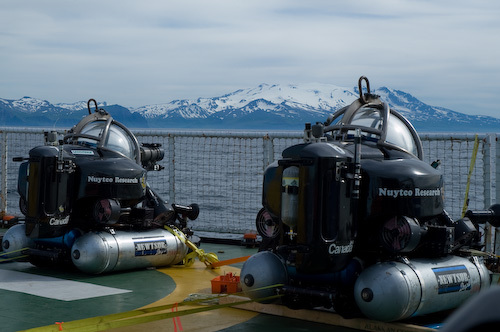 On this Greenpeace-led expedition — the first of its kind to explore the two largest underwater canyons in the world — we were documenting the rich deepwater ecosystems of the Bering Sea, especially the exquisitely beautiful deepwater corals that covered many parts of the bottom and where, just like on warm, tropical reefs, fish find refuge. 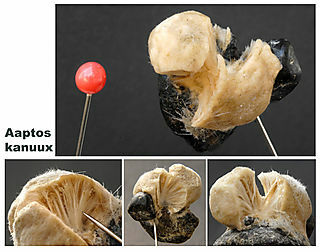 Corals are the oldest living animals on our planet, some of them taking thousands of years to grow. But in the path of this scar, nothing was left. The corals were gone. The sponges were gone. The fish were gone. Even the rocks were gone. The level of destruction was overwhelming. The very fabric of this incredible ecosystem was ripped from the bottom, then sat briefly on the deck of a factory fishing trawler before it was tossed over the side as “bycatch.” It was truly the worst sight I have ever beheld underwater. The good news is that there is something that we can do about this. Next week the North Pacific Fishery Management Council will decide whether to protect these important underwater canyons. Ocean Doctor is proud to be part of a coalition led by Greenpeace to protect the Bering Sea Canyons, and we are taking this opportunity to ask you to let the Council members know that you care. Please take just a few moments to let your voice be heard. Alaska’s Bering Sea is home to one of the most remarkable places in the world, the “Grand Canyons of the Sea.” These canyons are over a mile and a half deep and home to fish, crab, skates, endangered sea lions, orcas, and humpback whales. It’s a truly remarkable ecosystem that begins with the fragile corals and sponges on the sea floor. Tragically, this ecosystem – America’s natural resource – is under threat from industrial fishing fleets that carve up the corals and sponges with their massive nets. Bottom-tending fishing gear–especially trawl nets–destroys ancient corals and sponges that provide this essential habitat, including spawning and nursery areas for fish, crab, and other marine species. Over a billion dollars of seafood is harvested along the Bering Sea shelf break each year. A select group of fishing fleets has secured the privilege of fishing, and profiting immensely, off of one of our nation’s richest natural resources. The North Pacific Fishery Management Council has a responsibility to protect this vital habitat and ensure sustainable fisheries, but so far they have refused repeated requests, for over a decade, to protect these magnificent canyons. 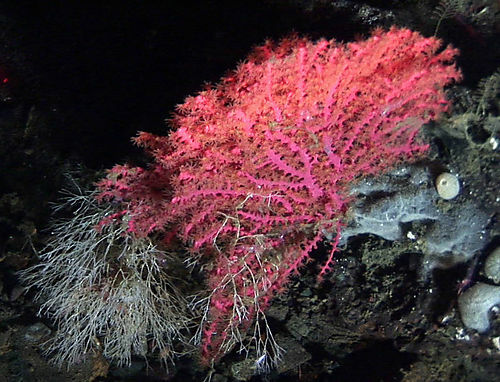 Last year, after receiving new science confirming the existence of vulnerable coral and sponge habitat in the canyons, and a renewed request to protect the canyons signed on to by a broad coalition of organizations, Alaska tribal groups, 30,000 individuals, and even Safeway, the Council put the issue back on their agenda. In just a few days the Council will decide, once again, whether or not the canyons should be protected. This time we want to bring over 100,000 voices with us demanding protection for our national treasure in the sea. If we want the ocean to continue to provide fish (from wild king salmon to Fish Mc Bites), jobs, and all the other essential things it does, then we need to make sure our oceans are protected from corporate fishing fleets. Send your voice with us to Juneau, Alaska to make a change. Together we can protect the Grand Canyons of the sea. Acid Oceans: The Gravest and Most Immediate Planetary Threat Yet? 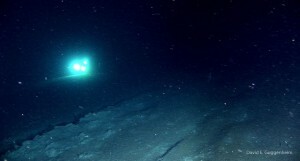 Action Alert: Grand Canyons of the Bering Sea Get Your Cape On for World Oceans Day!